Music Loves You began from a desire to talk about music, artists, fans, and in a larger sense, all that surrounds concerts and festivals. The desire to show all those moments where an artist and his public become one. 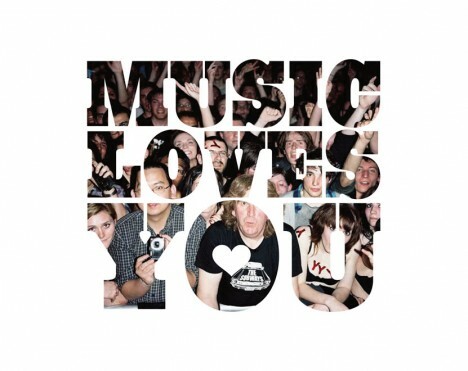 The exhibition “Music Loves You” at colette in Paris deals with all these things, through snapshots taken by photographers, but also by the artists themselves. Discover the films and photos of crowds and fans immortalized by Beck, Drew Carolan, Josh Cheuse, Lenny Kravitz, Nick Zinner, Philip Andelman, Poppy de Villeneuve, Stefano Giovannini. A tribute to all that contribute to make a live concert so special and unforgettable. In addition to this event colette will present the Sound Affects by Christian Patterson, pictures shot in Memphis inspired by William Eggleston.